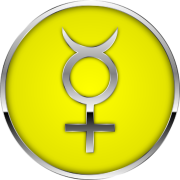 A person with Mercury in Libra is a charming diplomat who can manage to criticise without insult, likes to juggle complex ideas and have elegant strategies of theoretical thought. 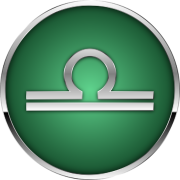 Their thinking style is friendly and aesthetic, seeking to promote balance and harmony using word play. ​They are not always especially profound or truth-seeking, and a fear of conflict leads them to somewhat opportunistic accommodation to other people’s views; this can make them appear lightweight and insincere. Problem areas may include unrealistic theorising, a holier-than-thou attitude and hesitant indecisiveness.